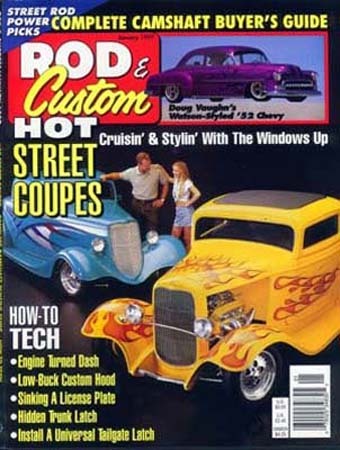 KKAS first cover for Rod & Custom McGaughy's 33 coupe. Proving we could bridge the minitruck gap to streetrods. The 33 won best use of color at Oakland roadster show, and 2nd in it's class on the main floor. Let us Kustomize your feature vehicle today.